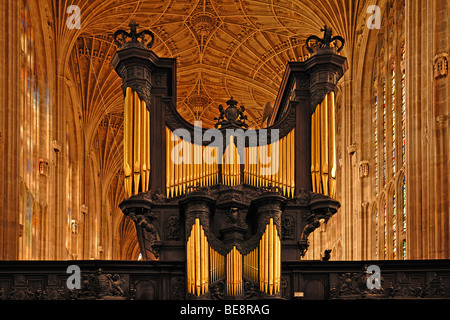 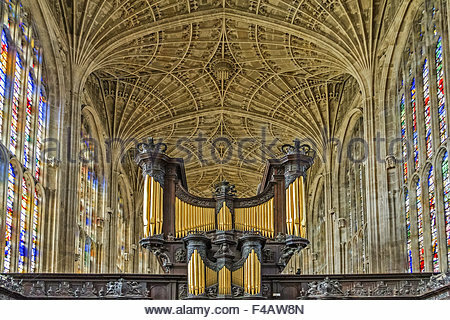 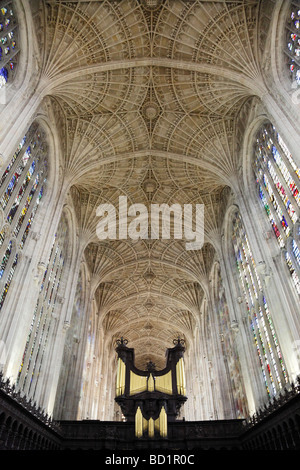 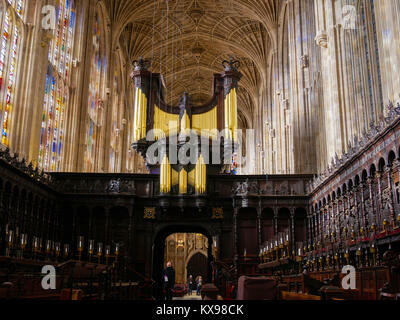 Organ & Vaulting at King's College Chapel Cambridge, England UK. 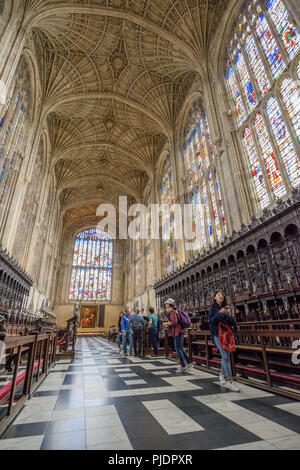 King's College Chapel is the chapel to King's College of the University of Cambridge, and is one of the finest examples of late Gothic (Perpendicular) English architecture. 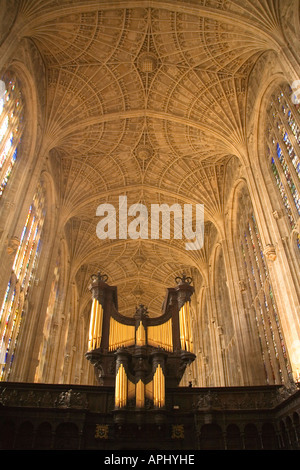 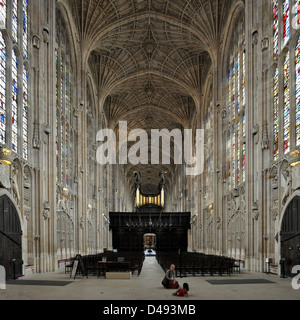 Location: King's College Chapel Cambridge, England UK. 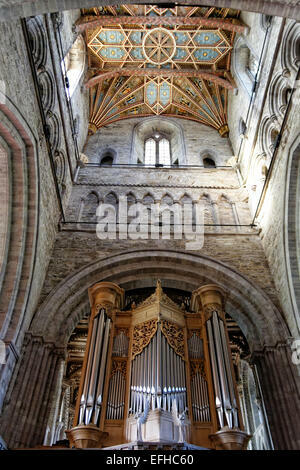 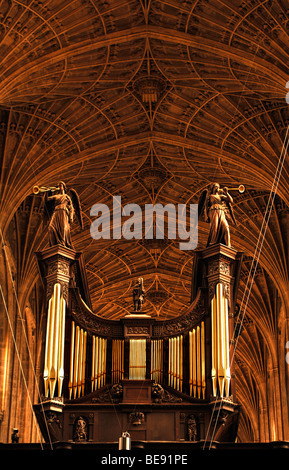 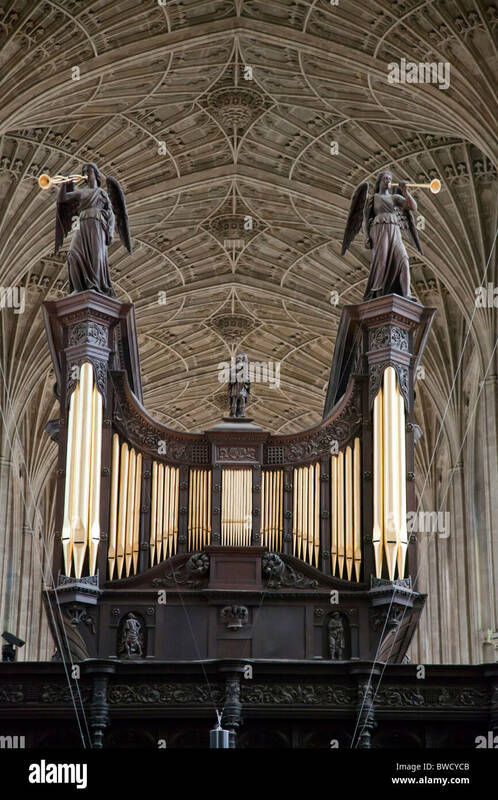 The organ above the wooden rood screen in the chapel at King's college, Cambridge university, England. 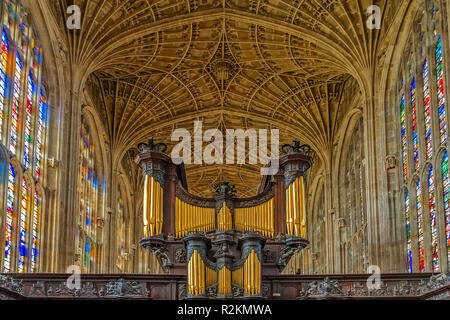 The oak rood screen, organ and portal of the choir in the tudor built chapel at King's college, university of Cambridge, England. 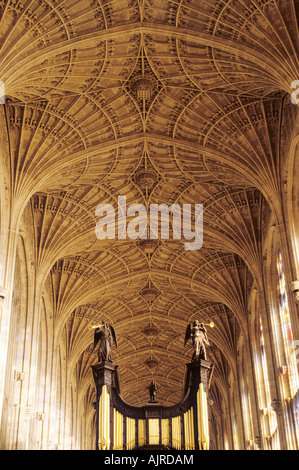 king's college chapel, cambridge 1446-1515. 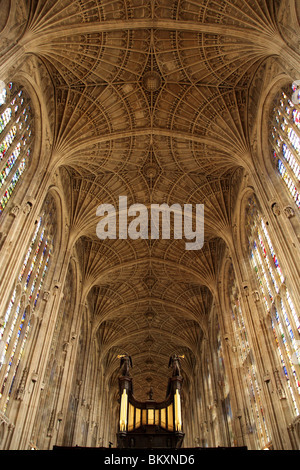 Vaulting at King's College Chapel Cambridge, England UK.